Recently we took a family vacation to Ireland. Being the family geek I felt like I had to take enough gadgets to cover the family including a 6-year old granddaughter. There were at least 3 different modes of travel: airplane, car, and hotel. I got ziploc bags and labeled them for each set of gadgets. Before you look, I went way overboard. I *ed the items I actually used. And yeah, I got pulled aside by the TSA guys! 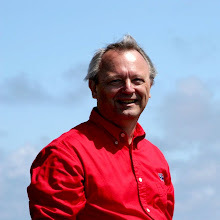 In Geotagging III I discussed my quest to capture a geotrack of a then upcoming trip. Well, we're back. We spent a week in Ireland. As I noted in Part II of that post I had discovered that I could specify for GPSLogger to only use the device's GPS for getting location. This significantly improved location quality at the expense of battery. 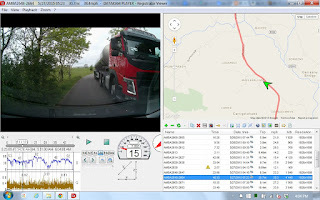 After I posted Geotagging III I got an anonymous comment that told me that the author of GPSLogger (for Blackberry) has created an Android version. While I haven't tried it yet I would expect a it to be stellar app. On our vacation I used my 2013 Moto X with GPSLogger for Android with the frequency set to 1 minute and location from GPS only. While this was hard on my battery I never ran out of charge. 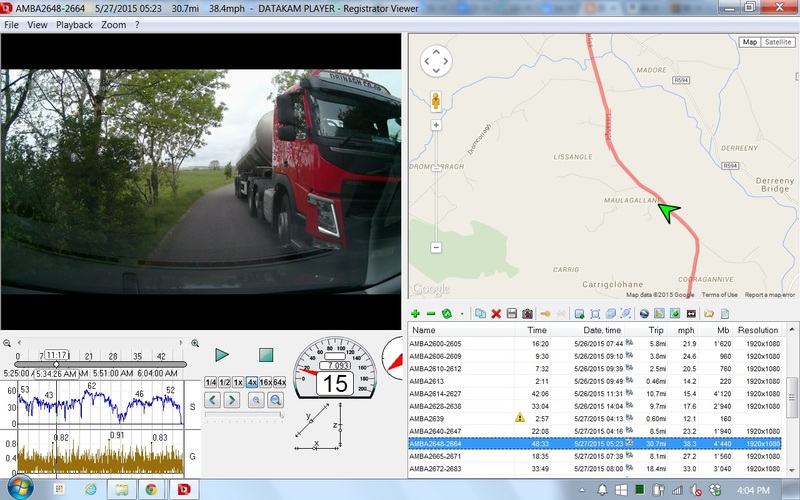 After a sleepless night across the Atlantic and then a day long drive on the wrong side of the road, I forgot to turn on the GPSLogger tracking until after lunch. This was near Ballinasloe. 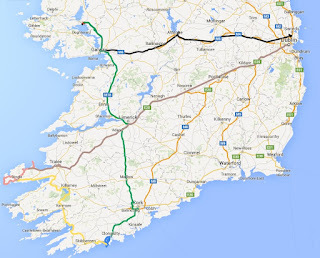 So the track from Dublin to Ballinasloe was using the Google Now tracking. 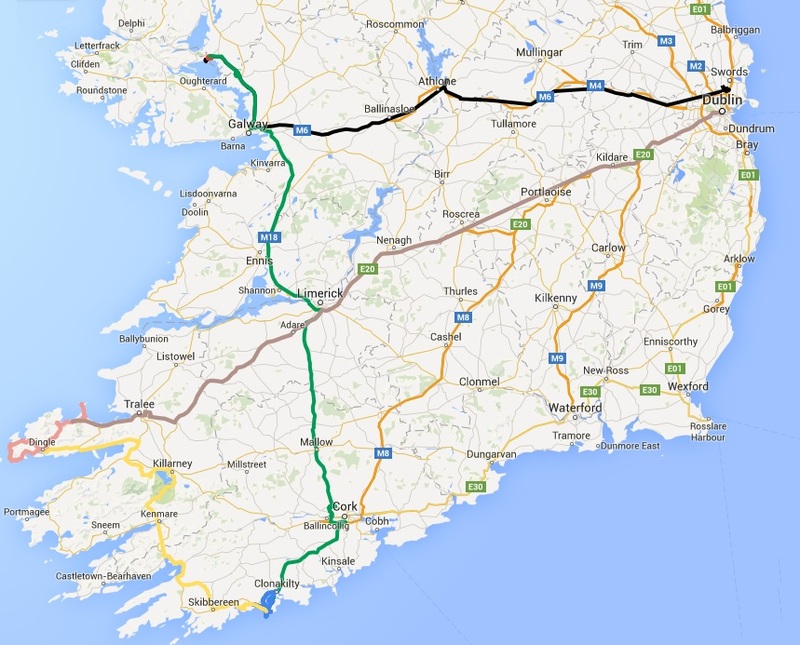 Likewise on the trip on 05/29/15 I turned off GPSLogger at Moneygall and didn't turn it back on until just before Kildare resulting in the straight line connection between those 2 points. You can see the My Maps map here. If you zoom in you can even see where we walked through the woods with the hawks at Ashford Castle. I just returned from a trip to Ireland. In preparation I looked into chip and PIN (EMV). As a result of several recent major data breaches the US credit card industry has set a deadline of October 2015 for the first round of chip and PIN implementations. This will apply to retail transactions with gas pumps coming in October 2017. Europe (and hence Ireland) has been using chip and PIN cards for decades. I've heard tales of US magnetic stripe cards not being accepted in unattended out of the way places in Europe, e.g. unattended train stations in Scotland. Ireland is nothing if not "out of the way." I really didn't expect any problems but this gave me an opportunity to upgrade my credit cards. My primary credit card is a national branded MasterCard. When I called them they were right on top of chip and PIN cards. They readily offered to send me a new card with a chip. I went through the discussion with them on how to set the PIN and we seemed to have accomplished that. In hindsight I believe that this was the magnetic stripe PIN. More later. I called my bank about my Visa debit card. The customer service representative didn't even know what I was talking about. So one for two. I still felt comfortable. My intent was to only use my debit card in ATMs. 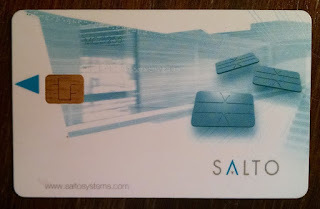 I continued to nose around and came across a discussion about the technical considerations for EMV cards. It seems that the chip has the ability to specify what authentication methods are used and the preferred sequence. The discussion suggested that most EMV cards being issued in the US for now are chip and signature. Brian Krebs covers that thoroughly here. What this means is that if you process the card as an EMV, e.g. use the slot on the bottom of the credit card machine, that rather than being prompted for a PIN you will be asked to sign the receipt. This is exactly what I observed in Ireland. The retailers were prepared for this. The thoroughness of the clerks varied from paying no attention to the signature to protesting when my daughter had not signed her EMV card. My daughter had another national bank Visa and like my MasterCard it was accepted everywhere with a signature. Interestingly one of the hotels we stayed at used an EMV card for room entry. No authentication was required. Another thing I've run into is that one magnetic stripe credit card reader in Memphis wouldn't accept the EMV card because it was too thick to go into the reader. This particular reader wasn't a traditional magnetic stripe reader but rather used a system that took the card into the reader much like an ATM.